For Jasjit Singh Ahluwalia, coming to New Jersey to oversee the Rutgers School of Public Health deepens his family’s connection to higher education in the state. 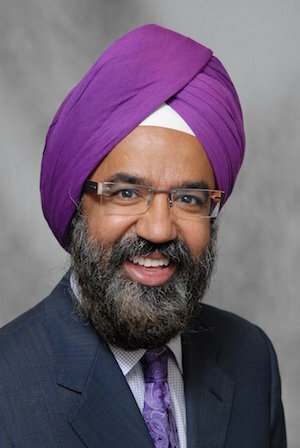 “In some ways, it’s a sort of a coming home,” Ahluwalia, who will become the dean of the Rutgers School of Public Health in April, told NJ.com. A nationally recognized researcher in the fields of health disparities and nicotine addiction among minorities, Ahluwalia will join his sister, an associate professor at Montclair State University, and his father, a senior administrator and long-time professor and chairman of the mathematics department at the New Jersey Institute of Technology, in higher education in the state, according to the report at NJ.Com whcih badges itself as the largest new website for New Jersey, US. Dr. Ahluwalia is a nationally recognized researcher in the field of health disparities and minority health, and nicotine addiction, according to a statement from Rutgers. He recently completed his term as chair of the National Advisory Council for Minority Health and Health Disparities at NIH, having been appointed to the council by former HHS Secretary Kathleen Sebelius. Dr. Ahluwalia is currently professor of internal medicine and epidemiology at the University of Minnesota Academic Health Center, where he was recruited in 2005 to become the founding executive director of the Office of Clinical Research, the same statement added.